Joy Spence is a rum pioneer. 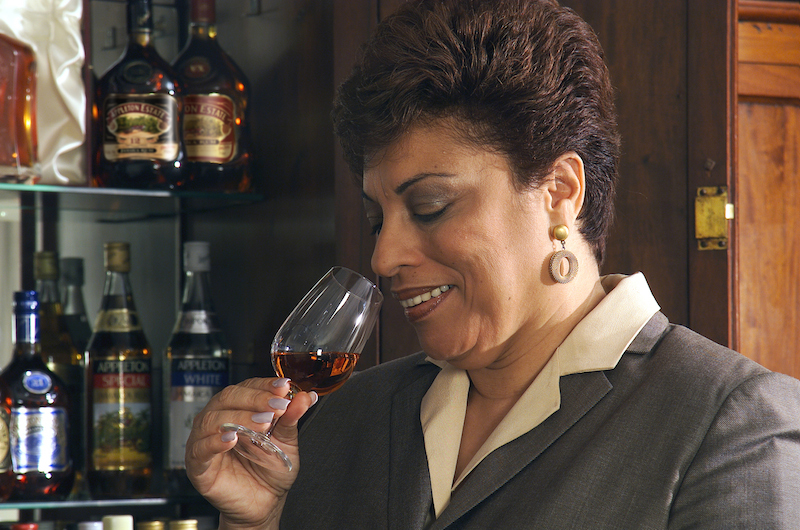 In 1997 at Appleton Estate she became the first female master blender in the industry. Two decades later she remains among the few women worldwide with her title. To commemorate her accomplishments, Appleton recently released a limited-edition 25-year old expression, the Joy Anniversary Blend. We recently caught up with Spence to discuss rum in modern times. Beverage Dynamics: Premium rum is competing with whiskey for spirit connoisseurs. How do you lure in whiskey drinkers? Joy Spence: I always introduce these people to our 12-Year-Old Rare Blend. They can appreciate the complexity of this spirit. They’re amazed at how complex the rum is. I also always say that rum is the best value in the spirit industry. Especially the Appleton Estate range. That’s because of the tropical aging. Spirits age three times as fast in Jamaica as they do in a cooler climate. Our 12-Year-Old would take 36 years to replicate somewhere else. It’s very hot in the daytime and the rum really absorbs into the pores of the barrel. At night it contracts and this takes flavor from the barrels at a faster rate. The ratio of 3:1 has been scientifically proven. Scotch brands took their spirits down here and compared the finished product with barrels back home and they found it to be true. Now some bourbon producers are heating their warehouses in the winter. BD: How would you recommend people use Appleton Estate in cocktails? JS: You can mix our Reserve Blend with anything fruity or spicy, as that will elevate those qualities in the rum. But you don’t want to add too much sweetness as that could mask the flavors of these rums. With our 12 Year Old I recommend a Rum Old Fashioned. One cocktail we drink in Jamaica is a 50/50 mix of our 12 Year Old with fresh coconut water. I created a cocktail with our Joy. You muddle an orange peel into a glass of Joy and then add a few drops of bitters and cracked ice. BD: What differentiates Jamaican rum from other Caribbean styles? JS: Jamaican rum is known for its rich, full, blended, complex flavors. It’s probably the most versatile rum. 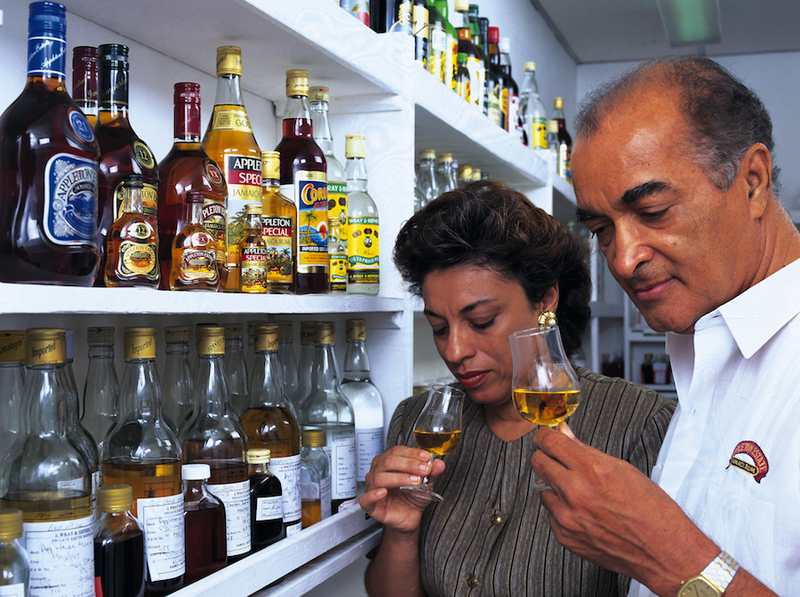 We’re known for being the largest producer of pot-still rums in the Caribbean. Most other nations have moved away from pot stills and favor column stills, which produce lighter-style rums. This is because it’s cheaper to produce out of a column still. BD: Do any other Caribbean nations produce rums similar to Jamaican style? JS: I’d say Barbados and Guyana. BD: When blending rums, what do you look for? JS: I’m looking for balance among fruitiness, spice, and the oak derivatives of coffee, chocolate and vanilla. BD: What modern trends do you see in rum? JS: I’m seeing more of a focus on limited-time offerings in the high-end category, from craft producers and also larger producers like us. This is creating a lot of buzz in the category, and keeps the consumers focused on premium rums. BD: What’s next for rum? JS: Premium aged rum is the next hot category next to aged whiskey. Kyle Swartz is managing editor of Beverage Dynamics magazine. Reach him at kswartz@epgmediallc.com or on twitter @kswartzz. Read the recent Beverage Dynamics piece Why Flavored And Spiced Rums Remain Hot Sellers.